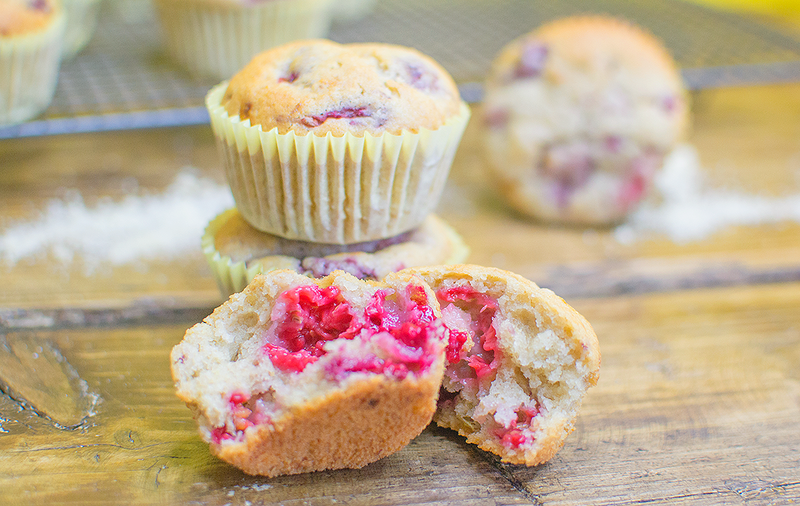 This raspberry and almond vegan muffin recipe is pretty similar to the raspberry and almond cupcake recipe that I shared a few weeks ago, only they are a bit healthier due to the lack of buttercream on top. They also have a few extra ingredients such as ground almonds and a mashed banana. I like to think that they are healthy enough to eat for breakfast, but don’t get me wrong, they do still have a fair bit of sugar in so I definitely don’t think they could be classed as healthy! Although I do love eating cake in the morning and these can definitely pass for being put on the table for breakfast, unlike cupcakes! I used white spelt flour but you could easily switch it for normal flour. 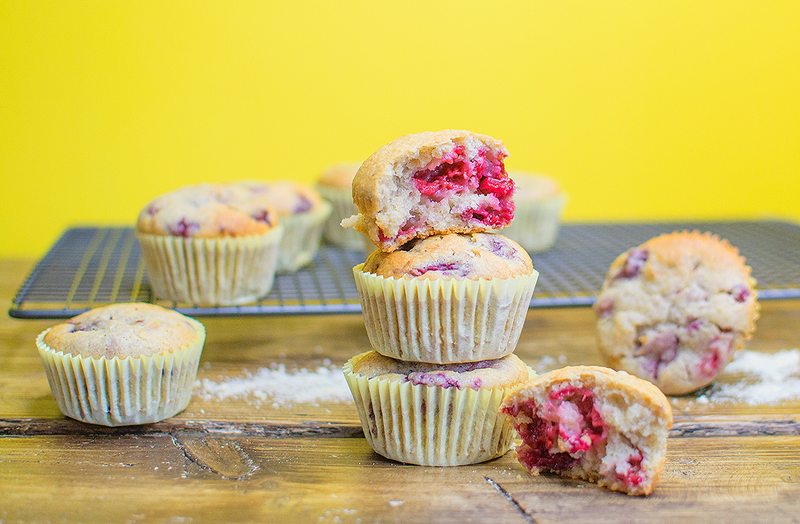 This almond and raspberry vegan muffin recipe is dairy free, egg free and of course, completely vegan. I personally love the taste of almond essence but if you don’t like it then you can just switch it for vanilla essence. The kids love these muffins and they’ve even had their non-vegan friends over before who have loved them too. 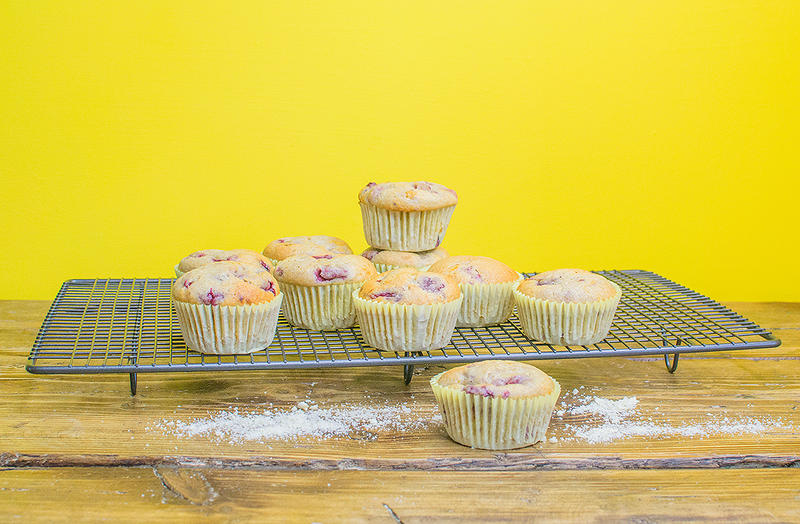 Here is the recipe for these almond and raspberry spelt flour vegan muffins. Add the flour, sugar, bicarbonate of soda, baking powder and ground almonds to a large mixing bowl. Add the oil, dairy free milk, almond essence, apple cider vinegar and maple syrup to a jug then slowly pour into the dry mix. Stir well. Stir in the mashed banana and the raspberries. Spoon into 12 muffin cases then bake for around 15-20 mins. Leave to cool down then enjoy!